South Dakota, officially and profoundly known as The Mount Rushmore State, is ranked among least populated states of nation. It was the 40th state to be admitted in US union in 1889 and also ranks 17th in terms of total area covered within state boundaries. Cultural heritage and moral values are strongly laid in South Dakota’s foundation since its instauration. Though economic status and overall GDP of state are not in high ranks, South Dakota has very low unemployment rate. It has also been ranked as 7th“best state for business”. Minimal tax is levied in state and there is exemption from tax in various sections such as income tax, inheritance tax etc. Experiencing the problem of ‘Rural Flight”, South Dakota has still managed to maintain an overall high growth rate and high standards in various sectors such as agriculture and health care industry. What is South Dakota Board of Nursing (SDBON) and what are its responsibilities? 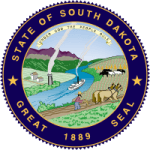 South Dakota Board of Nursing is the state authority, appointed directly under the State Legislation, which regulates safe nursing practice and public welfare in South Dakota State. South Dakota Board of Nursing is the certification and licensing authority for various nursing professional in South Dakota counties. Board is responsible for various activities such as reviewing various nursing programs and schools in state, maintaining various board records and complaint registries as well as acting against violation of nursing laws in state. South Dakota Center for Nursing Workforce is also working for assisting in various nursing operations such as recruitment and standardization of various nursing professionals. What is SD Center for Nursing Workforce (SDCNW) and how is it associated with SDBON? South Dakota Codified Laws, SDCL, has various chapters and sections on nursing and nurse practice laws. SDBON follows chapter 36-9 and 36-9A for proper nurse practice regulations in state. Similarly, SDCNW is a committee associated with recruitment, demand, supply and proper utilization of nursing resources. The committee’s role and authorities have been specified under section 36-9-95/96 of SDCL in state legislation book. Three SDBON members are elected in 11 member team of the SDCNW and these 3 persons reflect the role and decisions of SDBON in various board meetings. Who are South Dakota Board of Nursing Members? South Dakota Board of Nursing comprises of 11 board members and various other board staff members. These include Registered Nurses, Licensed Practical Nurses and 2 General Public Members. They represent various important aspects of consumer side.